The start of the spring season is the perfect time to harness the public’s excitement about the outdoor spaces and remind them about the benefits a well-cared lawn offers them. The Lawn Institute is proud to partner with the National Association of Landscape Professionals (NALP), Turfgrass Producers International, the Outdoor Power Equipment Institute (OPEI) and the Irrigation Association (IA) to build awareness of proper lawn care and to get people excited about getting outside. This web page includes resources, that you can download (for free!) and use in your print and digital communications to promote April is...National Lawn Care Month. Join the social media campaign to promote April is...National Lawn Care Month on Facebook, Twitter and Instagram using the hashtag #LawnCareMonth. Click here to download photos. Click here and here to access articles you can use as your own in your client materials. 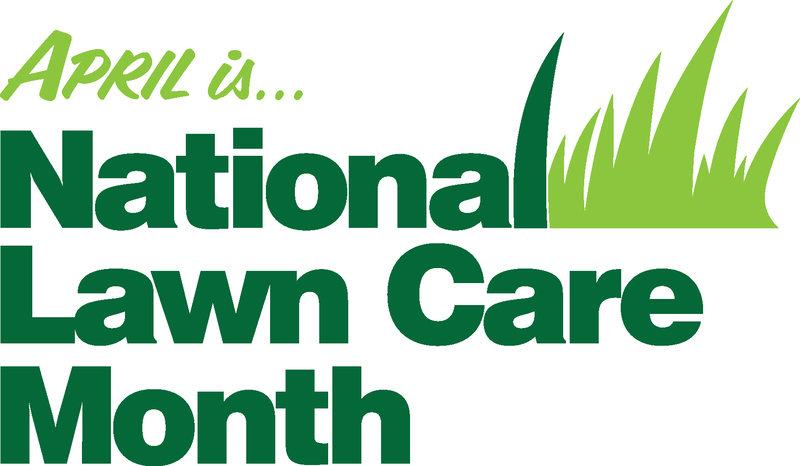 Here are a few ideas to help you spread the word about April is...National Lawn Care Month. Use Instagram. If you are an Instagram user, post photos of your lawn care work and tag the photo with #LawnCareMonth. Everyone enjoys photos of beautiful lawns and landscapes. Blog about it. Write about April is...National Lawn Care Month in your company blog. Use the logo and photos to add interest to your post. Tell clients about it. Promote April is...National Lawn Care Month on your website or in e-newsletters or e-blasts to clients. It will get them thinking about their lawn and get them excited for spring. Post to Facebook. Share some of the facts and resources on your Facebook page. Turfgrass, like that found in our lawns, is much cooler than asphalt or cement, acting as an “air conditioner” for the surrounding area (lawns can be 22 degrees cooler than urban asphalt "heat islands"). Healthy turfgrass has many miles of fibrous roots that hold soil and filter rainwater. (National Arboretum Grass Roots Project) A single grass plant can have more than 300 miles of roots. It is estimated that a 50 by 50 foot lawn (2,500 square feet), releases enough oxygen for a family of four, while absorbing carbon dioxide, hydrogen fluoride, and perosyacetyle nitrate. NALP’s consumer site, LoveYourLandscape.org, also has a web page dedicated to National Lawn Care Month https://www.landscapeprofessionals.org/nalp/nalp/national-lawn-care-month.aspx which shares facts, statistics, and lawn care tips with homeowners.